Disclosure: GOG sent over copies for me to ensure they work. As usual, the Linux versions come with their pretty installers powered by MojoSetup, this gives you the game plus a pre-packaged version of DOSBox to enable pretty much out of the box gameplay. 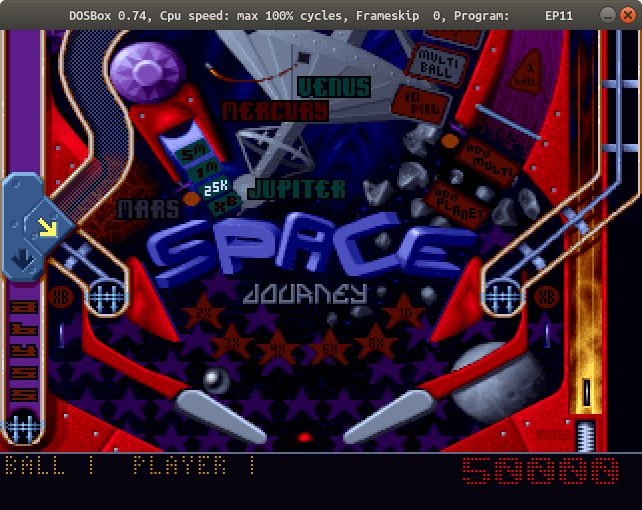 You don't have to use the DOSBox they come with of course, you can just take them right out of the install folder and put them wherever you want, to play with your system-installed version of DOSBox. It's your choice, since they're DRM free. 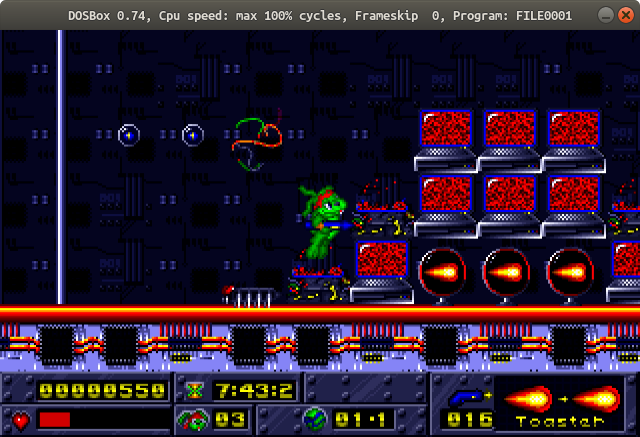 They also added Jazz Jackrabbit 2 Collection today, but it doesn't have a Linux download. Find them all on GOG right now. Fantastic to see more classic games arrive with pre-packaged Linux support, so that Linux gamers don't miss out on some truly retro games. As I've said before numerous times by now, I consider keeping classic games alive, playable and legally purchasable a very important job. Not just to preserve the history of gaming, but some retro titles really are quite amazing. I have fond memories spending hours on the Jazz Jackrabbit Christmas episode that came with some UK based magazine's demo floppies -- way back in 1996 (maybe?). (For me that's an era with very few 'fond memories' to begin with, haha. [high school]) The price is a *little* too steep for me right now, but this is really exciting. I am pretty sure the game runs flawlessly on Linux with Wine. So go for it, if you're a fan! they meet, sadly, with poor reception, aka "meh, I could easily just run it with Wine myself"
This could be of course re-evaluated, if there was a huge demand for Wine-wrapped titles. I think this attitude will change over time, especially for older titles as Wine matures. Personally, I would be happy with a wine-port if it was sufficiently old enough and worked so I can't tell the difference. YES!!! I love Jazz Jackrabbit! Used to play it all the time when i was a kid and thought i'd never get to play it again! Memomry Lane, here i come! For older games I honestly wouldn't mind if games were wine-wrapped. Old games practically have to be wrapped one way or another anyway, and the key thing is official support; messing around with wine or discovering bugs mid-game is not fun. For newer or demanding games, I do have a preference towards "native" games, but it's a mild preference; I would instantly jump on an official wine wrapped port of DooM 2016, for example. Marky I would instantly jump on an official wine wrapped port of DooM 2016, for example. Off-topic, but: On my computer, DOOM 2016 (Vulkan) runs better on wine, compared to native wind0ze; the latter has some annoying visual artifacts, stuttering at places, etc. -- under wine-staging there's none of that. I have no idea how or why, but it's pretty amusing. The win partition is clean (just a few games) and well-maintained, so it can't be a borked installation. I just tell people to install their system's Wine package & let the package manager take care of the rest. linuxvangog they meet, sadly, with poor reception, aka "meh, I could easily just run it with Wine myself"
It's a very similar situation to DOSBox really. More experienced users can just set up Wine themselves but that's not an option for newer & less advanced users, for whom Wine can be very daunting & a major hassle to use. Even for more experienced users, some games can still be a huge pain to get running in Wine when you don't know exactly what's needed to get them working. Plus wrappers can offer more than simply getting the games running; things like save handling, performing some initial display setup etc. to try to make the experience more like playing native games, as I try to do with my wrappers. On that note, you're welcome to use any of my wrappers to do official releases if you want Although some of them may not be possible due to requiring certain native components where licensing may be a blocker (especially where such components are made by Microsoft).